Peel potatoes and cut into pieces. Peel and finely chop the garlic. Wash and trim the leeks and cut into pieces. Heat the oil and sweat the garlic and leeks. Dust with curry powder and stir in the stock. Add the potatoes and cream and simmer over a medium heat until potatoes are soft. Season with salt and pepper and add the lemon juice and nutmeg to taste. Serve scattered with basil leaves. 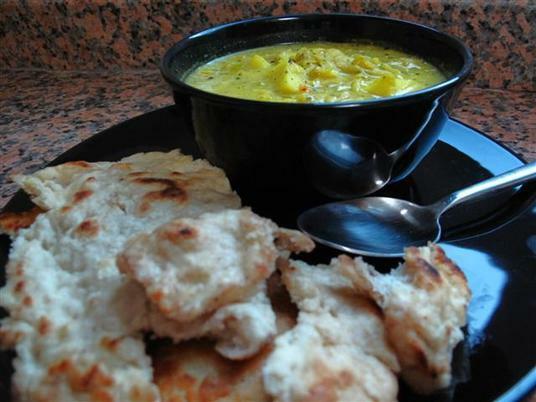 I tried to serve this one with Tibetan bread that we discovered while hiking among the teahouses outside of Chisapani near Kathmandu…didn’t work out so great. The bread, that is. We’ll leave that to the locals. 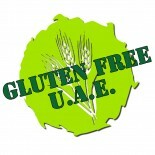 This entry was posted on 06/02/2012 by glutenfreeuae in Recipes, Soups and tagged gluten free, glutenfree, leek, soup.